Tattoos are already under our skin, the tattoo artist reveals who we really are. 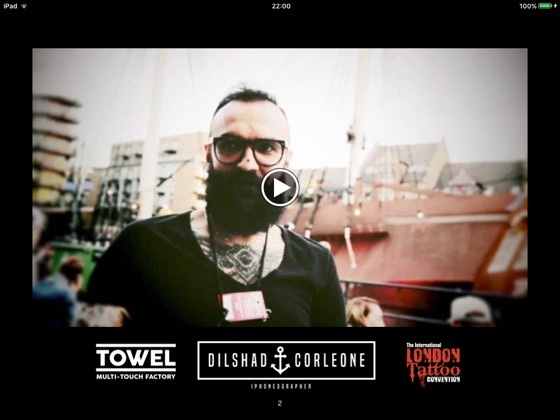 The London Tattoo Convention 2015, as seen through the eyes of Iphonographer Dilshad Corleone. 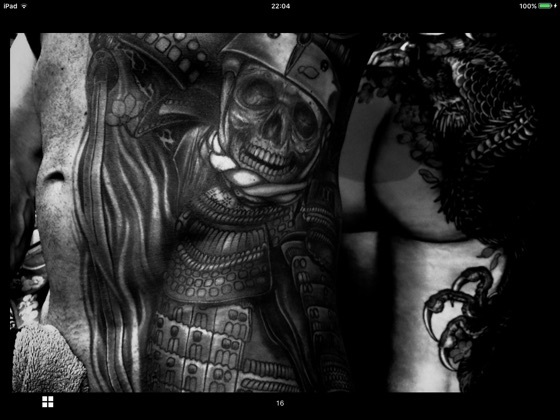 Discover the world of tattoos, in a crazy trip through pictures and videos. 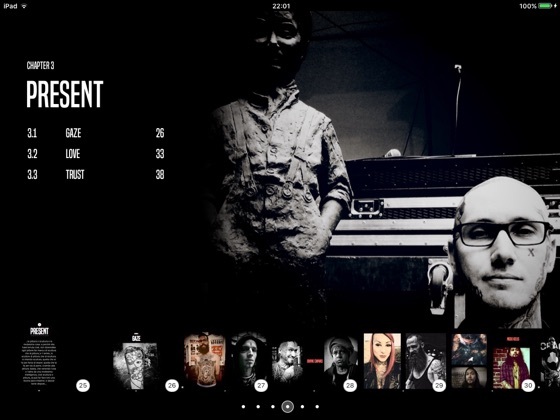 Towel Publishing and Dilshad Corleone present the first book of iphonography in iBook format. More than 150 photos, videos, links to follow the greatest tattoo artists and much more. 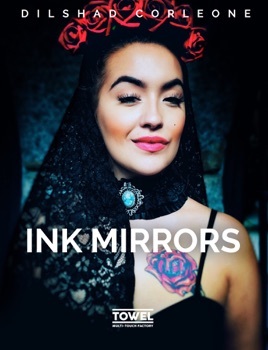 A fantastic and insightful look at the world of tattoos and those who wear and make them. Beautifully photographed and enhanced by additional video footage. This is a superb book. The photography is amazing and the inclusion of video really helps to give an extra added dimension to the photos as you get to find out the stories behind them. Highly recommended. 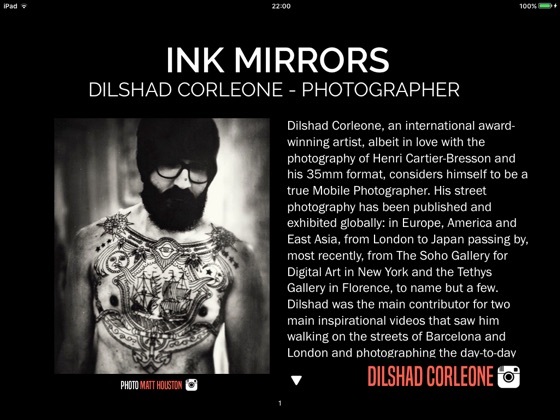 Dilshad Corleone is quite simply one of the most talented portrait photographers around. Little else to add.